The usual warnings apply: We are not responsible for any broken or bricked devices. Use this guide at your own risk. However this worked for me on my SC-02C so it should work for you too. This is actually very easy but you need to make sure you have the proper tools first. Notes: When installing a ROM you will always need to replace the kernel and baseband afterwards because the SC-02C requirements are slightly different than overseas models that most ROM developers are using. The reason we are flashing the kernel a total of 3 times is that the stock kernel does not have a custom recovery installed and we need to have a way to backup your current ROM in case you want to roll back (why you would want to go back to Touchwiz is beyond me :) but it is always good to have a backup). Otherwise it is more difficult to go back to stock. Also before proceeding, backup the 1seg app. You will need to re-install it when you are done. 1seg is supported in this kernel but I have not tested it so your millage may vary. You will also want to backup the Samsung keyboard if you use it for kana input. Also if you are using spmode email you will need to backup that application as well. I don't use spmode email so I have no idea if it even works on this ROM. Also the SC-02C counts how many times you have flashed the kernel and detects if it is not a stock kernel. 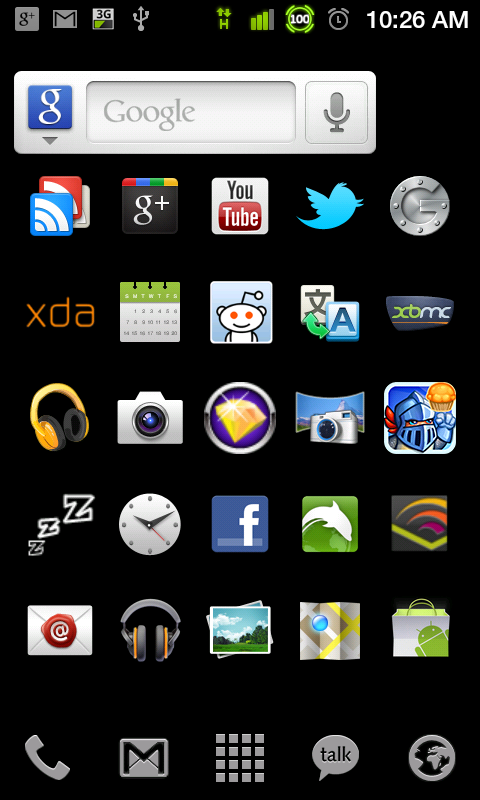 When running a non stock kernel you will see a yellow exclamation mark under the Docomo logo when you boot. This is normal and does not effect the phone performance but if you want to get rid of it and reset the count you can buy something called a "jig" that is a modified MicroUSB dongle that will reset it. You would want to do this if you had to send your phone in for warranty support. The ROM we will be installing is DlevROM2 v2.0 it has tons of options but this is what my home screen looks like, I have changed to a plain black background to save battery since with OMLED screens when it is a black pixel it uses no power. Init.d support, with tons of tweaks and features. user customizable charging speed (use at your own risk). you have to echo AC, MISC and USB charge currents to a misc device. automatic battery calibration. leave it connected to a charger overnight and the battery will be calibrated. No MD5 was available from the developer's, but these are the checksum's of the files I flashed. These files worked for me, so if you get the same checksum, you have the same file I do. First read the thread over at XDA here. Then download the latest SC-02C version of the custom kernel. The dev is very active so more likely than not there is a later version available but the 1.7.x version should be pretty stable. He says in 1.8.x is going to mix it up a lot so I would hold off on that series for now. Extract the TAR file and put it in a folder. Read about DlevROMv2 2.0 and download the ZIP file from here. 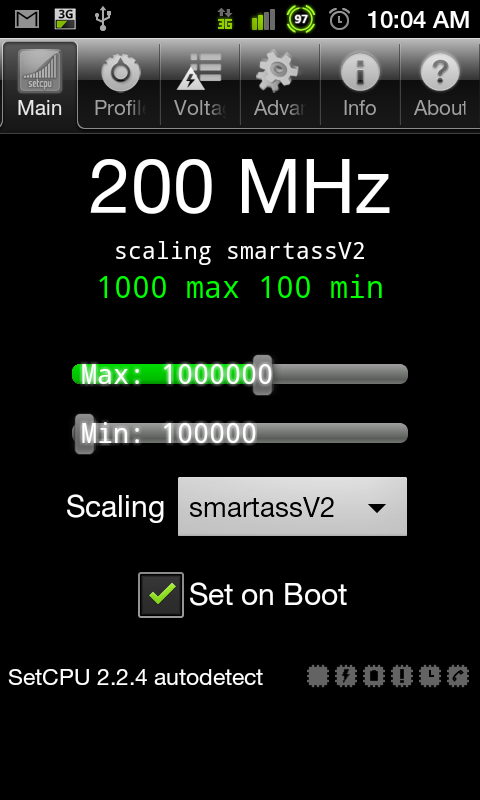 Download the Stock baseband and Kernel for the SC-02C here. Keep a copy in a safe place and then copy the modem.bin file to a folder with the custom kernel. If you have not yet installed Heimdall download and install the latest command line version here. Under settings -> Wireless -> mobile networks -> access point names. Make sure you verify your APN settings. This ROM has the mpr2.bizho.net APN auto populated but if you need to use spmode make sure you write down the settings. A mistake here can cost you money later. Install the kernel using the command line version of heimdall. Put the phone into download mode and make sure the phone is not connected to USB. Next turn it off and turn it on while holding volume down and the home button and then connect the USB. heimdall flash --kernel zImage (use sudo if using a Linux system) the phone will then reboot and start up (it may be slow to boot up the first time). *Note if you have any stability issues like the phone locking up you can always flash the stock kernel you downloaded using the same method as you used above. Now we need to put the phone into recovery to backup the system. To put it into recovery do the same as we did to put it into download mode except use the "volume up" key not volume down when holding the home key and power button. At this point it would also be a good idea to mount your phone as USB Storage from Recovery at this point and save a copy of your backup to your PC. The backup will be in the /sdcard/clockworkmod/backup folder. From the Clockwork MOD recovery mount the phone as USB storage and copy the DlevROM2_2.0_KI3.zip file you downloaded to your phone's SD Card (actually internal storage). Next from the main menu we will want to select the option to install ZIP file from our SD Card. Navigate to the DlevROM2_2.0_KI3.zip file and install it and reboot your phone. Anytime we install a ROM it wipes out the Kernel and baseband we need. Without both the GPS and 1seg will not work. That is why we need to flash the proper kernel and baseband again. Give your phone a full charge and then reboot into recovery and wipe the Dalvik cache and the system cache. This kernel will auto calibrate the battery so give it a full charge and then let it fully discharge after the first charge. Don't pay too much attention to the battery stats at this point because they will be way off. Now before you sign in with your Google account make sure you check your APN settings if the wrong one got auto configured it will cost you money!! After verifying that go ahead and sign in and configure your phone. Personaly I like to make sure I am connected to WIFI so any data packets will be going over WIFI at this point. Install Set CPU from the Android Market it will set you back ¥152 but it is worth it you can over and under clock your phone. So far I have found the best settings for this ROM are the ones below. This will give you a good balance of battery life and performance. Also if you find that this ROM and Kernel are useful to you I recommend you donate a few bucks to the guys who created them because without them we would be stuck with the crappy Samsung default ROM. Thanks for laying this out. As ever, easy to understand. Great post. Glad you mentioned checking the APN after flashing. I'd just flashed my trusty old HTC Magic with a gingerbread ROM and hadn't given any thought to the APN. Sure enough, it had defaulted to Docomo's Mopera.net APN instead of bizho. Luckily I haven't been using it that heavily and only changed the ROM a day ago...hate to think what my bill would look like if I hadn't been poking around on SBS (while tethered ;) Thanks for the tip! yup that is one of the most important things to check and always seems to be an afterthought even for me. umm..... you still might be have an extra charge. mopera net isn't a pay as you go APN. It adds a straight up fee of ¥4,200. At least that is what it did to me. If you use it just a little bit, you'll be charged. The fee can't be negotiated. The Docomo shop staff don't even have the power to remove it. I always checked before flashing by "unyaffs"ing the ROM and checking the APN-conf file. The problem is if mopera net is listed above mpr2. If you dont' have the utilities to do that, I'd suggest doing a first boot with no SIM, then disabling 3G data, and only then boot with SIM. If it sets the wrong APN, it won't send packets and you can fix it. On a related note, does installing CyanogenMod on the SC-02 allow you to get around Docomo's tethering fee? I haven't tried CyanogenMod since it doesn't yet have a kernel that supports the SC-02C and I have not tested this kernel with it. CyanogenMod will get around any Docomo spyware that would charge you but if Docomo has any other way of detecting is anyone's guess. I have tethered on my old HTC Magic using Cyanogen mod and I didn't get charged but that was a while ago and didn't use it heavily only when I was in a jam. Does the kernel have iptables? If so wireless tether for root user should work. Do the custom ROMs have the wireless hotspot feature? connecting on that APN automatically generates the ¥4,200 tethering fee. So what you need to do is activate tethering without automatically switching APNs, which is the normal way of doing it and the way any custom ROM will do it. Or use the app I mentioned above. Of course you tether at your own risk. I have done it extensively and never had a problem from tethering. I have had the problem from mopera dot net, but that had nothing to do with tethering. I'm wondering because the contract on my Magic is up in November and I'm looking at the SC-02 as a replacement. I'd like to be able to keep the same usage profile, USB tethering from time to time, without incurring the extra costs. If there's no real way around the tethering fees on the SC-02 I might just keep the Magic until it burns out. Hopefully Docomo will remove head from sphincter regarding tethering sometime soon. If you have root, you can get around the fees. I am 99% sure of this. If you do dumb things, they may notice you are using way too much data than is usual and that could cause you problems. 2 points I want to clarify. 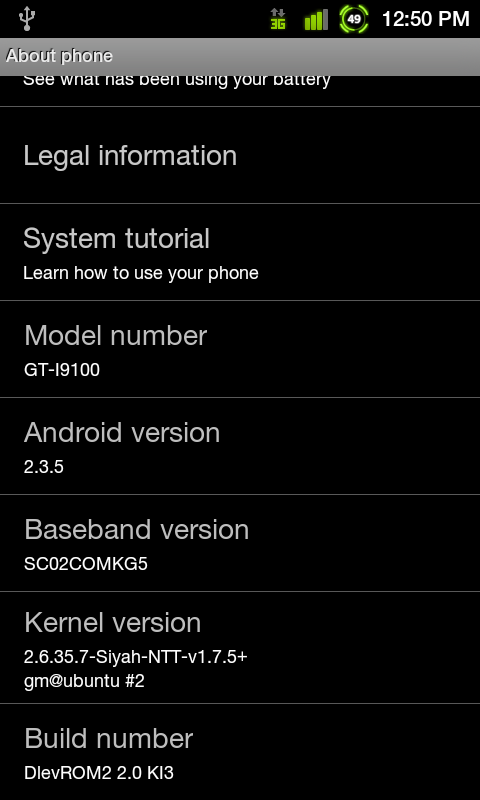 1 - Am I right to assume that backing up 1seg & the Japanese keyboard are done at Step 2 before installing the custom ROM? In order to have backups of just those things, would I use something like Titanium? 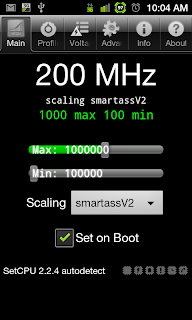 2 - The stock baseband and kernel are .exe files (SC-02C_DCM_SC02COMKG5_SC02CDCMKG5_SC02COMKG5.exe). Can I just change the filenames? I use Linux, so was quite confused by this. And when you say "modem.bin", is this referring to the baseband? These terms are interchangeable? Something like titanium should allow you to back up the apps you want to keep. I didn't bother sine I don't use them. The executive is a self extracting archive if you don't have access to a windows machine let me know and I can post the files. You are correct that the modem.bin is the baseband. Yup ;) I just edited it I am using my phone as I try and fix botched Ubuntu 11.10 install on my laptop. OK, I managed to get a .tar by using Wine. I see now that the .tar contains 6 files, one of which is modem.bin. Is that the only file I need, and not the other 5? Eyes but do save the others in case you need to restore also make sure yodo a backup after you install the kernel. The modem.bin should be all you need. I can't get past the first step as I get "ERROR: Failed to access device. libusb error: -12"
If you are using windows make sure you have installed kies so you have the USB driver's installed. Also main sure it is in download mode. Hi, thanks for this guide. Really helpful. I have hit one snag though. The command line version of heimdall won't start on my pc. Just flashes on and then closes. 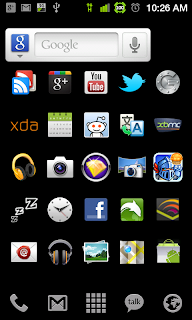 Due to this, I used Odin to flash the custom kernel onto my phone and it works fine. I want to install the rom too but I'm not sure how I would go about flashing the modem.bin file with odin. I know the "phone" selection on odin has .bin as an acceptable file type but I was hoping someone with more experience/ knowledge could confirm this for me. check on the SC-02C forum most people there use Oden. I use Linux so I can't use Oden. I looked around and it was as I thought. Installed everything and works perfectly. Battery even lasts an entire day! Sorry Im a newb... Just a few questions .... I followed all your directions and everything is great, but I lose data so can you help me get it up and working again? When I flash back to my backup it starts working again so I dont know what controls data... Thanks for your post by the way... I wasnt sure it was safe to flash roms in japan until I came to this site... Plus 1seg and gps work perfectly fine. You're the MAN! You lose your data connection or application data? I think the dlevROM will wipe your data. You can backup and restore by using an application like titanium backup. If you are referring to data connection. Go to your APN settings and verify the settings between stock and the ROM. Dlev has the mpr2 APN but not the SPMODE apn so that one would need to be added manually. oh I see... Any advice on how to do that? On which part? I can put some directions together tomorrow. I have an idea... If I use root explorer in the stock rom and copy the apns-conf.xml, can I use the copy to replace the apns file in other roms? I mean I know root explorer would allow it if im rooted... but my question is "would it repopulate the apn list?" From there, press the menu button and select new APN. Reference my APN list, and add the SP Mode APN by tapping on the 1) Name and giving it a name (any name is fine - it doesn't matter), then 2) APN and typing spmode.ne.jp. 3) Based on your SIM, android should automatically set 440 and 10 for country and carrier codes, but if it doesn't, add those. 4) click menu again and then hit save APN. 5) From the list of APNs select the one with the name you just gave it. 6) enjoy data. wow thats simple... Sorry this is my first GSM phone so I dont know anything but thanks a lot I will try it now and let you know how it fares. How did you get the 1seg to work after this? I cant seem to get it. You should be able to restore it using titanium backup. If you have the app installed and the correct kernel "SiyahKernel" the ntt version it should work. I have never bothered with it but others have said it works. If it is not working then I would comment on the kernel thread as one of the updates may have broken it. If I start playing around with roms and then decide I want to go back to stock, can I just restore an official rom using kies anytime? Or will that not work the way I think? Your tutorial is always helpful. Thank you so much.Today i have a question regarding siyah kernel, should I get the latest one or just stick to the version 2.0. There is v2.3 for nnt docomo if im not mistaken. And for DlevROM should i go for 3.1? Thank you in advance. yoroshikuonegaishimas..
for the kernel I would go with whatever the most current version that is not listed as alpha or beta as long as it is the NTT version. The kernel is pretty easy to flash so if it is buggy for you then try an earlier version. For the ROM I would also go with whatever is the current version. I am on 2.1 right now I think but only because I haven't had the time or energy to update and re-install all my apps and what not. I will take the time to write another post whenever there seems to be a good Ice Cream Sandwich ROM that works with the SC-02C. Until then my current setup is working fine as far as speed, performance, and battery life so I haven't really felt the need to update to the latest version of the kernel and ROM. During backup in Step 2. Is this normal or i messed with something? Can i just install zip file ROM using heimdall? that is normal I get that every time I do a backup. You can install the ROM through Clockwork recovery it is really easiest that way. libusb couldn't open USB device /dev/bus/usb/001/020: Permission denied. i enabled the usb debugging.. do you have any idea what went wrong? Make sure you use sudo then it should work. make sure you use sudo and it should work. Thank you so much. I tried 2 rom today. And I stucked. Luckily i remembered your advises to put it into recovery and wipe the dalvik cache and system cache and do a factory reset. That really save me. Thank you so much. Thanks for your post. I followed your steps and it worked like a charm. However, I can no longer buy apps on the market. Have you seen this? I can no longer charge my docomo bill or use credit card (unable to use this card). I tried searching around google for a fix but no luck.